RNA interference: Medical revolution or false dawn? I think it is a medical revolution because even though it might not be the cure to cancer it points a light down the tunnel to the cure. 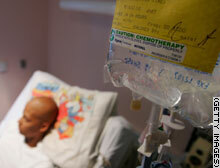 RNA interference could make chemotherapy more effective. How long do you think it will be before a cure for cancer is developed?